Among the many alternatives offered by the market, we have certainly heard WordPress and HTML as tools to make a web page. But what is the difference and what is the most convenient solution? A user who enters a web page will probably not notice the difference between one made in WordPress and one made in Html. The big difference lies in the administration where a system allows us a great access and ease of use (WordPress) unlike the other one that is more complex to administer (Html). It is a content management system (CMS), which allows us to create a website through a very easy-to-use platform. The advantages of this technology are many, for example, in the market, there are thousands of WordPress themes already done, we just have to choose the one that best suits our expectations, change the images and text, and our website will be almost ready. In addition, there are many add-ons, such as reservation systems, which will allow us to obtain the specifications we want for our site. Basically, once we complete our website, managing it will be very simple through its interactive and intuitive panel and maintenance will be reduced. Do you want a small VITRINE site? An HTML site allows you to get a simple and effective website. If you do not want to add/modify/delete text and images regularly or do not make changes yourself, an HTML site is highly recommended. HTML files on your site can be viewed locally on your computer. No matter the language used for a site (PHP, asp, etc.) there is a conversion to HTML at the server because all browsers only display this language. Http:// and Https:// = Hypertext transfer protocol . If you want to make changes to your site yourself or make additions regularly, you are strongly recommended to use a WordPress site. This module also allows you to obtain high-performance features. WordPress is the most used module in the world! The best option always varies according to our needs. 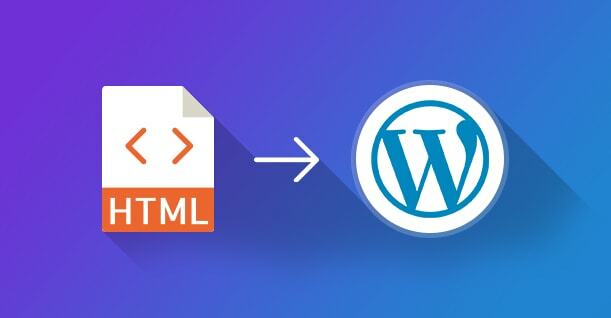 Undoubtedly, WordPress provides us with a platform that can be managed in a very simple way and that requires less time than a development in Html. Also, do not underestimate that if we want to manage our website automatically when it is created, WordPress is the ideal solution. My name is Olivia, and I am a web developer with more than seven years’ experience in the PSD to Magento theme conversion company, WebePower Ltd. If you’re looking to hire WordPress developer, then Olivia can prove to be an intelligent choice.